Semi-startup Dropbox acquired pre-launch startup Mailbox today. This shows that some seriously wicked strategy smarts are in high-gear over at Dropbox HQ. I’ve long thought that Dropbox’s biggest competitor isn’t the other players in the cloud storage racket. 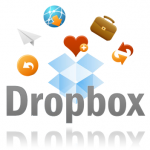 Dropbox isn’t a storage company, it’s a sharing company. Dropbox is in it to win against every other company that tries to make a buck off of people sharing content over the Internet. That means companies like Facebook/Instagram, Microsoft, Google, Apple. The really big guys. It also means that Dropbox competes with other *tools* that make it easy for people to share stuff over the Internet. I would wager that more stuff gets shared everyday via email attachments than gets shared on Facebook, Twitter and Dropbox combined. By bringing email into the corporate fold via this acquisition, Dropbox is going to get a front-row seat to a massive education on what it will take to steal the marketing for sharing stuff away from Google, Microsoft and Facebook. And its gonna be so much fun to watch it happen.